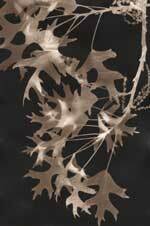 The photographs and photograms that I create are each an original, hand printed, gelatin silver photographic image. Silver based photographs are becoming increasingly difficult for collectors to find and purchase. Although many photographers are changing to digital cameras and printing, I have chosen to stay with view cameras, sheet film, and a traditional "wet" darkroom. For me, photography is a contemplative art form. I want the capture of images and their transfer to paper to be something that happens over time, allowing for thought and analysis. 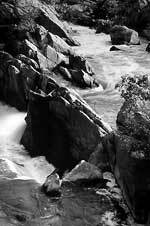 I enjoy the hands-on creative involvement that traditional photographic processes require.